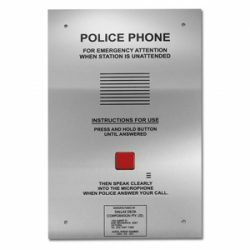 Dallas Delta Corporation manufactures many different types of enclosures to ensure their products can be mounted on almost any wall and in any space. 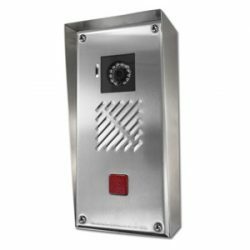 Our range of enclosures also makes sure your investment is protected from environmental factors such as weather and vandalism. 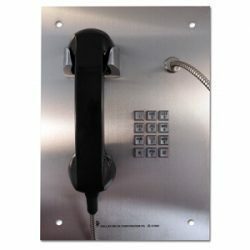 Please contact our sales team for a quote on an enclosure you wish to purchase. 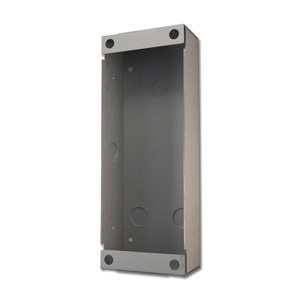 The Flush-Mount wall-box is made from mild steel and is zinc plated. 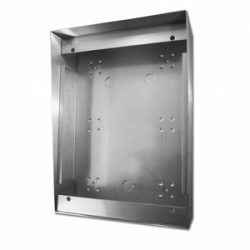 It is designed for internally mounted installation into a masonry wall so the a doorstaion can be flush mounted.